It’s the biggest one day race in the world, one of the five monuments in cycling, a race where only the strongest and the toughest survive: it’s the Ronde van Vlaanderen! Every year 16.000 lucky cycling enthusiasts participate in the most famous sportive of amateur cycling and you can be a part of this unique experience once again. On bergs where history was made more than once, on cobbles where champions were crowned and on Flemish roads were cycling legends wrote history, you get the chance to find your inner Sagan, your inner Boonen or your inner Merckx. 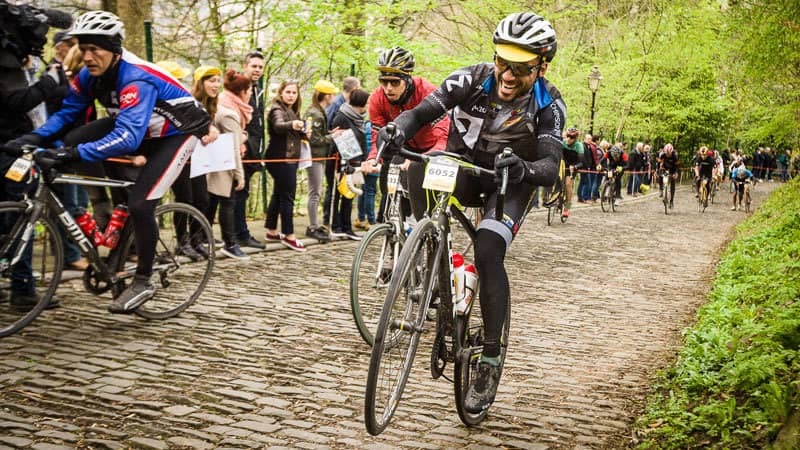 Believe us when we say there is nothing more unique and nothing more thrilling than conquering the Muur van Geraardsbergen, Oude Kwaremont or Paterberg and feeling like a true Flandrien.